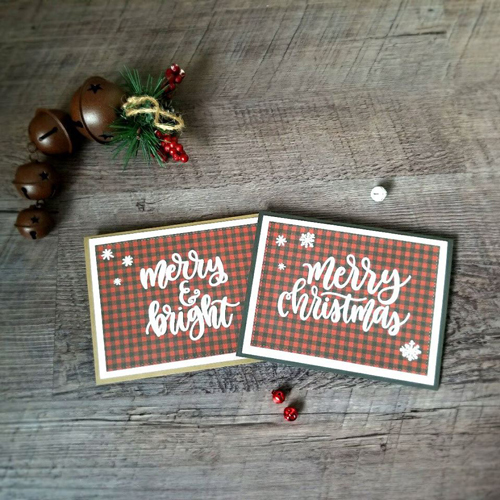 Jennifer created a beautiful set of holiday cards with minimal embellishments. We love how she allowed the white embossed sentiments to remain the focus on both cards. Adding multiple layers to a card is a great way to build up a design. 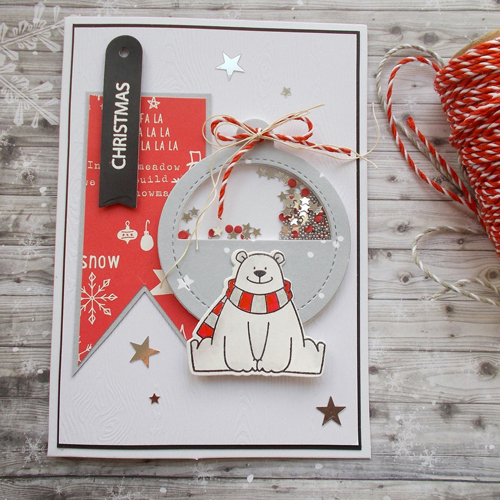 Martina used a great combination of reds and grays with her various die cuts and stamped pieces to create a card that features a lot of elements with a well thought out design. 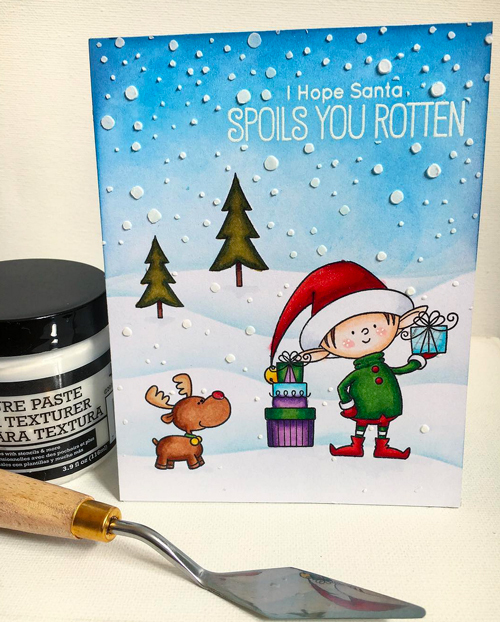 Whether you're a snow lover or not, I think we can all agree that the embossing paste snow storm in this wintry scene is perfection! Amazing texture and dimension with beautifully colored images. We adore this sweet baby card that Dana created. A soft color palette and an adorable owl image bring this design to a whole new level of cute! 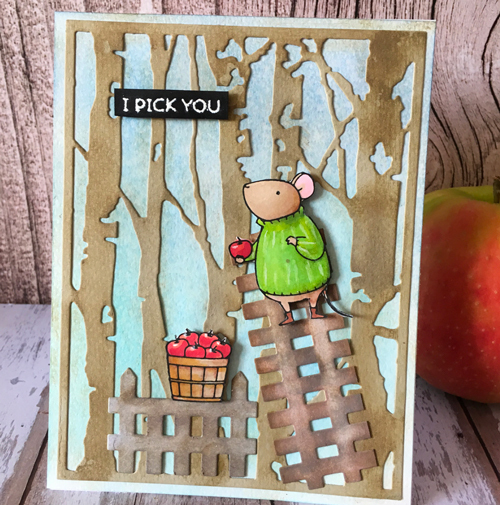 Yael created such a fabulous background for her darling mouse and basket of apples. Trees, a ladder and a fence, all work together to bring this fall scene to life. All of these cards are just wonderful. Thanks for all the inspiration.